Adding a soupcon of prestige to the posters hanging in dorm rooms you are fleeing, tonight Suicide Squad became an official Oscar winner—officially entered into the annals of Academy history, alongside The Godfather, Schindler’s List, and Mrs. Doubtfire. 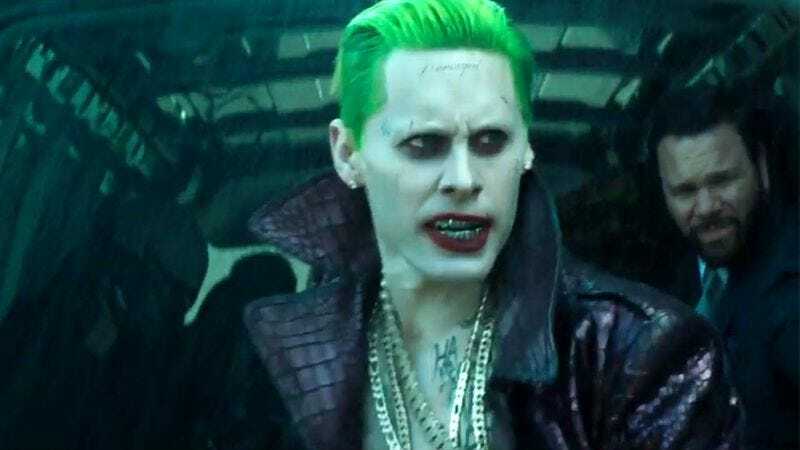 Like the lattermost film, D.C.’s poorly reviewed supervillain team-up took home the Best Make-Up And Hairstyling trophy, recognizing the transformative work its team did in smearing Four Loko and Mudvayne CDs on its actors, then writing the word “Damaged” on the Joker’s head to convey that he is damaged. In the future, when you are speaking of Suicide Squad, you must now refer to it as “the Oscar-winning Suicide Squad,” as outlined in Academy rules.